I can't say for certain that All-Con 2013 was the biggest one ever. I haven't heard any specific numbers from the convention organizers nor have I heard any statements to that effect. But I suspect it probably was the biggest All-Con ever for one reason and one reason alone - it took me the better part of an hour to find a place to park after I came back from lunch. However, once I'd eaten, parked, power-napped for an hour and showered, I was ready to hit the floor for some more socializing and picture taking. 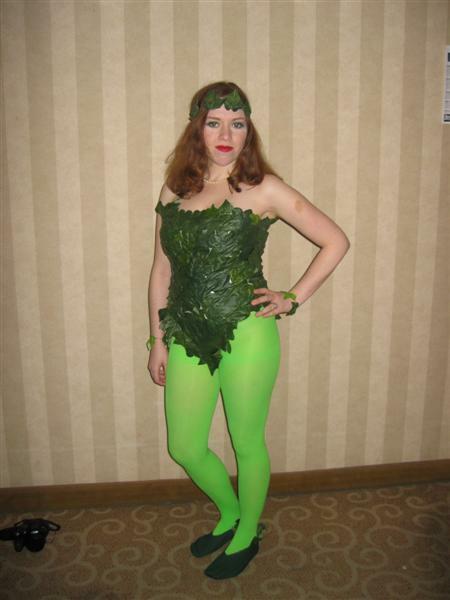 I ran into this lovely Poison Ivy on the way from my hotel room to the convention floor. I've mentioned before how increasingly common cosplay mash-ups are becoming. Well, this is one of the best ones I've ever seen. 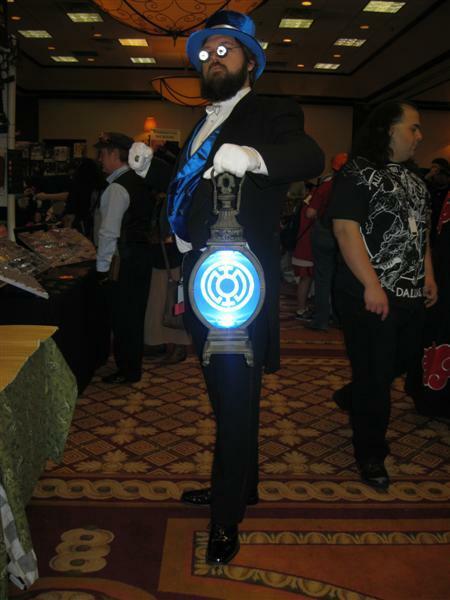 This dapper fellow is a Steampunk Blue Lantern. He was paired-up with this lady, who was dressed as a non-Steampunk Indigo Tribe member. She looks more like a lounge-singer than a tribal to me, but it's a good costume regardless. 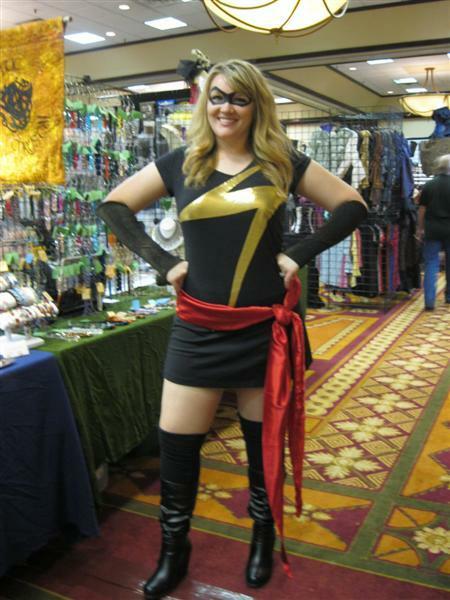 Ms. Marvel - not yet a Captain - in a slightly more modest version of her Warbird costume. I think Emperor Palpatine is planning to steal that TARDIS. 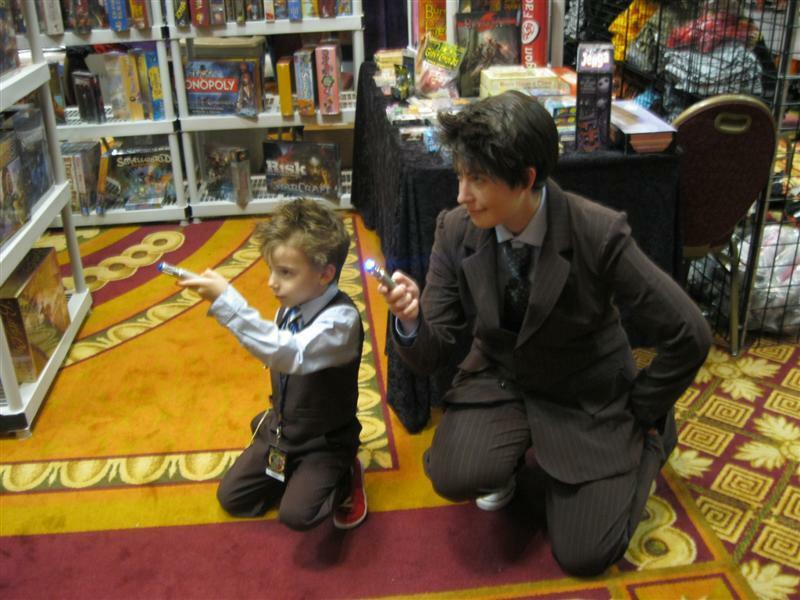 Speaking of the TARDIS, here's the cutest little Doctor you ever will see. 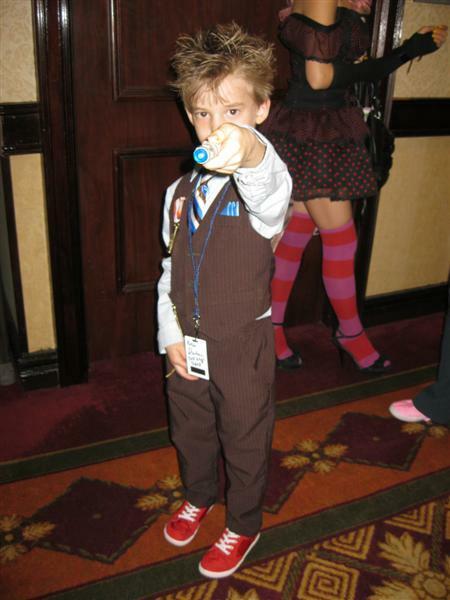 Well, the cutest Tenth Doctor, anyway. I heard that someone had a baby dressed up as The First Doctor but I didn't see them. Remember: The Geeks of Tomorrow Are All Our Responsibility. Support Youngling Geeks! 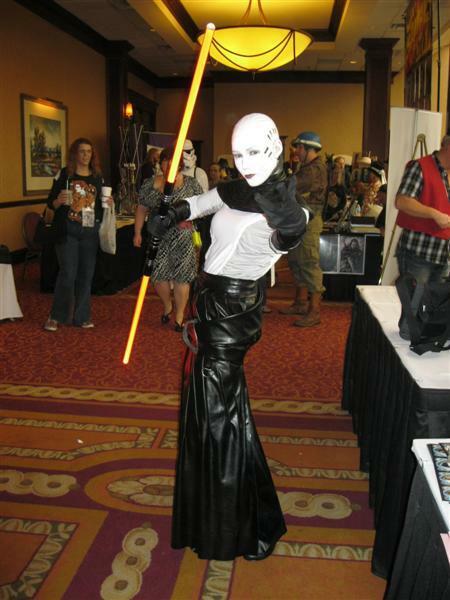 Speaking of younglings, here's Asajj Ventress from Star Wars: The Clone Wars. 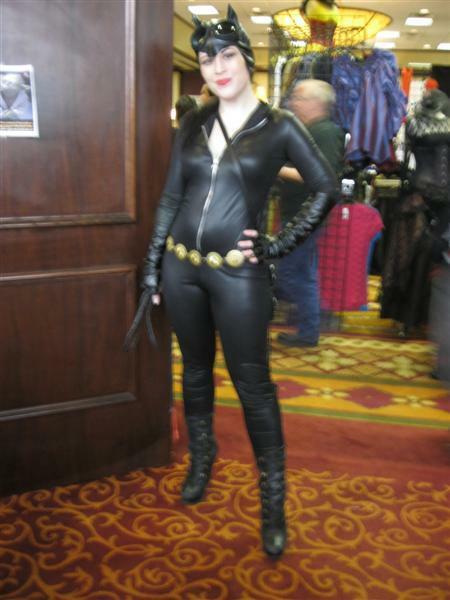 There's always at least one Catwoman at any con and this is a damn good take on the Adam Hughes version. One of the high-points of All-Con is the yearly Roller Derby demonstration by the ladies of Assassination City. This is partly due to the fun of their presentation and partly due to the colorful geek-friendly costumes you'll see the ladies wearing throughout the day, on-wheels or off. I snagged a picture of this stunning Elektra while she was off-wheeling it in the hotel hallways. Later, I ran into this AC Derby member in the dealer's room. I'm informed that she's a more-than-passable Pinkie Pie from My Little Pony: Friendship is Magic. I'm not sure if this young lady was meant to be a specific character or not, but her mask reminded me of Repo: The Genetic Opera so I snagged her picture anyway. If anyone does know who she is, please speak up in the comments. I'd love to know.